At Pipe Surgeons, we are a full-service Florida sewer pipe specialist serving Fort Pierce and all of St. Lucie County. As Florida’s pipeline experts, not only are we able to discover pipe problems, but we also have the solutions to fix them. Our highly-trained sewer pipe repair experts can perform any number of services for your residential, commercial, or industrial property in Fort Pierce and across St. Lucie County. Our sewer pipeline repairs are conducted with trenchless technology and equipment. Prior to any repair work being completed, our technicians will first perform a camera inspection on the sewer system. This allows our team to diagnose any immediate problems that need to be addressed as well as evaluate the conditions and age of the pipeline materials. After we have taken these factors into account, we will clean out the pipe of excess debris or waste to facilitate effective sewer line repair work. This is done with our hydro jetting equipment, a cleaning service that allows us to wash away clogs and debris through powerful blasts of water. Once the pipes have been properly cleaned, we can repair the sewer drain lines effectively. In the past, when sewer pipes needed to be repaired, technicians needed to dig trenches to expose the damaged pipe. The digging process often required weeks to complete and heavy machines needed to be transported to the site to facilitate the process. Our trenchless methods help avoid these steps in favor of more convenient methods. Our trenchless process eliminates the necessity to dig heavy trenches, limiting the excavation to small holes or we utilize existing access points and cleanouts to access the pipe. After this is done, our technicians will insert the inflatable liner into the pipe and force it to expand with artificial bladders. The expansion causes the liner to fit to the diameter of the pipe, allowing the epoxy resin to cover its inner surface while filling cracks and leaks. After the epoxy resin has evenly coated the interior of the pipe, the resin cures and hardens over the course of several hours, resulting in the inflatable liner becoming adhered to the inside of the former, damaged pipe. 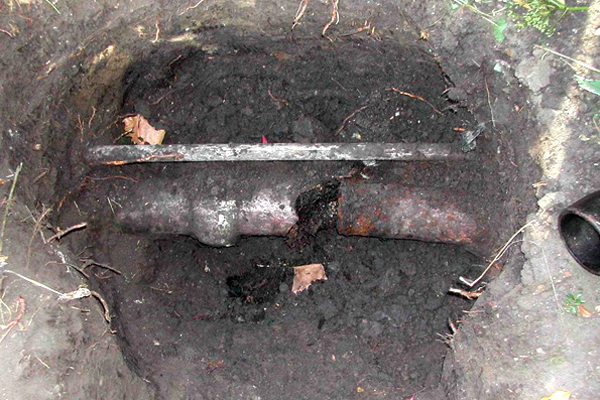 This results in a new pipe liner seamlessly installed inside of the original pipe without weeks of digging. If your sewer pipes need to be repaired by professionals, trust in the Pipe Surgeons to get the job done. You know that a company cares about the quality of their work when they stand behind it. We have some of the best Fort Pierce sewer pipe repair and pipe installation warranties and guarantees in the industry because we know our staff and our products are the best in the business. Our passionate technicians are friendly, clean, polite, drug-free, and experienced while both our parts and products are state-of-the-art—guaranteed!